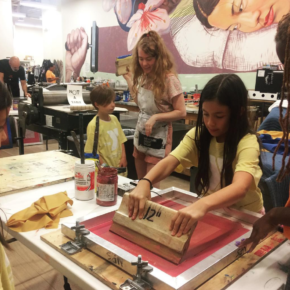 NEWARK PRINT SHOP FIELD TRIPS are designed to strengthen K-12 student engagement in the fine art of printmaking. 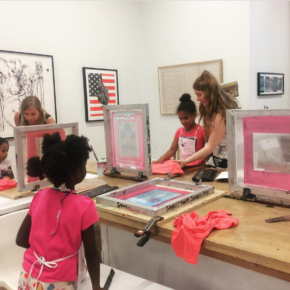 Participants learn about printmaking processes from professional artists using high-quality materials. 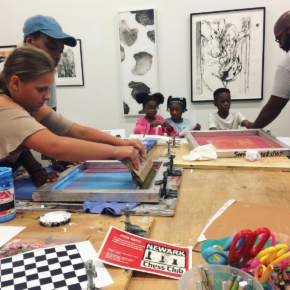 Newark Print Shop provides professional printmaker instructors to facilitate worskshops in a variety of process including screenprinting, monoprinting on the press, and relief printing. 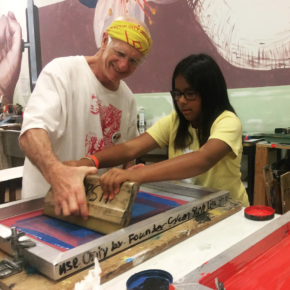 All materials, equipment, and supplies to execute individual projects are included. 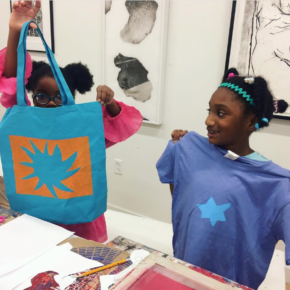 NEWARK PRINT SHOP wants to print with your school group, camp group, art club, and more! 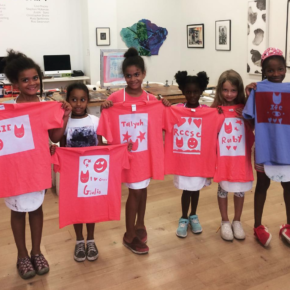 INTERESTED IN BOOKING A FIELD TRIP? All workshops are structured in two-hour time frames. 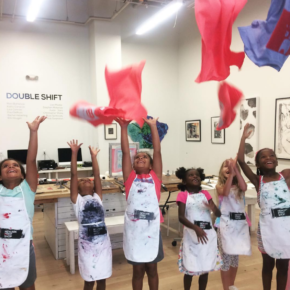 If you would like to book a full day field trip, NPS can accommodate this by facilitation two separate workshops, one in the morning and one in the afternoon. All workshop facilitated by NPS are subject to photography and/or video documentation to be used for advertising or purposes of demonstration unless otherwise noted by the client. 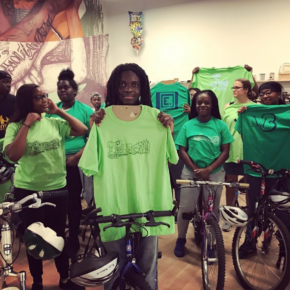 NPS requires all workshop participants to fill out a photo release form for this purpose. Forms for minors should be filled out by parent/guardians. Payment must be made in full before we can process your workshop. We accept Cash, Credit Cards, Checks and Square payments.